Co-operative Legal Services was the first large organisation to be authorised by the Solicitors Regulatory Authority as an Alternative Business Structure. In this podcast, I talk to Christina Blacklaws, Head of Policy of Co-operative Legal Services. She explains how the Co-op wanted to move into the legal services market by building on advice services they had for many year provided to their members. There is still a lot of emphasis on helping people to help themselves. But they wanted to be able to offer full legal services for members (and other members of the public) on issues that affect their daily lives, for example moving house, consumer matters, employment matters, family matters, housing matters, probate issues. The new service is based in the fundamental values of the Cooperative movement. 3 hubs – in Manchester, Bristol and London – are supported by other staff in the Co-op – e.g. in their banks. They also work with other agencies, e.g. Shelter. She argues that they key to their service is transparent pricing: each issue brought to the service is broken down into segments and clients pay for those segments of the service that they want. She also argues that the structure of Co-operative Legal Services is an attractive environment for staff; there are opportunities for staff to develop legal skills to enable them to develop their full potential as lawyers. The question of the reliability of criminal statistics is currently the subject of a very important investigation by the Public Administration Committee of the House of Commons. In evidence sessions held before Christmas, evidence was received of how statistics provided by police may be distorted by the practices local police forces adopt for the recording of crime. whether adequate procedures are in place to promote a culture of data integrity within the police. Witnesses have already told how the ways in which data are collected may reflect the need to satisfy particular government targets for policing. The final outcomes and comment from Government will appear later in 2014. Two decisions from the Legal Services Board (LSB), announced in December 2013, will – if approved by Government – have the effect of enabling legal executives to compete more fully in the legal services market. The first decision approved at application from ILEX Professional Standards’ (IPS) applications to enable it to authorise members of the Chartered Institute of Legal Executives (CILEx) to practise independently in Probate and Conveyancing. 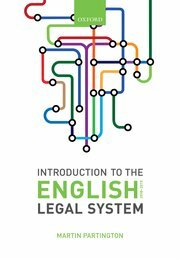 This is likely to pave the way for CILEx members to practise independently in all areas of law. The decision goes to the Lord Chancellor, Chris Grayling, and for subsequent parliamentary approval, anticipated during the course of 2014. The second decision enables CILEX to regulate Chartered Legal Executives exercising litigation and related rights of audience independently, as well as new rules for regulating immigration advisers. The ability for individual Chartered Legal Executives already working in a regulated entity to conduct litigation, exercise rights of audience and provide immigration services without supervision requires no further government approval. Thus IPS expects to begin accepting applications from CILEx Fellows in the Summer of 2014. This will benefit thousands of law firms who currently have unnecessary bureaucracies in place to sign-off on the work of experienced Chartered Legal Executives, including those working as fee-earners and partners. IPS will be able to start authorising independent legal practices offering litigation and immigration services when Parliament has granted powers to set up a compensation fund and to intervene in practices. The LSB has confirmed it will approve IPS’s rules for establishing a compensation fund once Parliament has awarded the relevant powers. This is likely to be taken forward in 2015. Keeping track of the changes made to the Civil Justice system, in particular those which followed the reforms recommended by Lord Justice Jackson, is quite a challenge. The Ministry of Justice has provided a useful summary of the changes in the following note. There is also a link to a further website that gives more detail of the legislative basis for the changes that have been made. Links to both sites are set out below. No win no fee Conditional Fee Agreements (CFAs)remain available in civil cases, but the additional costs involved (success fee and insurance premiums) are no longer payable by the losing side. No win no fee Damages Based Agreements (DBAs) are available in civil litigation for the first time. Referral fees are banned in personal injury cases. The introduction of new protocols extending the Road Traffic Act personal injury scheme to £25,000. A new fixed recoverable costs (FRC) regime. A new regime of ‘qualified one way costs shifting’ (QOCS) is introduced in personal injury cases which caps the amount that claimants may have to pay to defendants. Claimants who lose, but whose claims are conducted in accordance with the rules, are protected from having to pay the defendants costs. A new sanction on defendants to encourage earlier settlement of claims. In addition, the functions of the Advisory Committee on Civil Costs, which was to provide advice to the Master of the Rolls on the Guideline Hourly Rates for solicitors, was transferred to the Civil Justice Council with effect from January 2013.